How is a polyurethane breast implant different? Polyurethane breast implants are colloquially known as “furry Brazilians”. The name stems from the fact they have been used for breast augmentation in Brazil for many years and due to their foam coating, which feels furry to the touch. They have a polyurethane coating over a smooth cohesive gel silicon breast implant. The silicon used in the breast implants is soft, leading to a very natural feel. The polyurethane foam is vulcanized to the implant to ensure it does not separate. The capsule that forms is a softer, thicker capsule than other cohesive gel or smooth breast implants as it forms within the matrix of the foam. 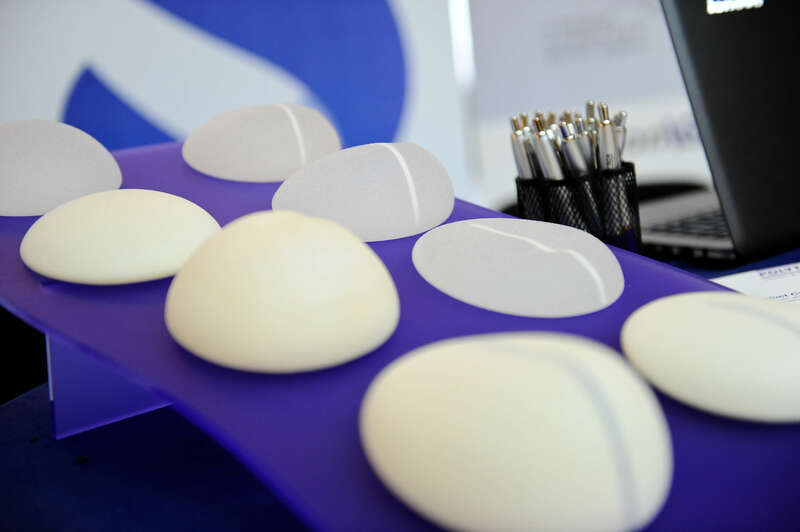 As well, the foam coating makes them sticky and they sit wherever they are placed, and are not subject to rotation and movement like other types of breast implants. Polyurethane breast implants were introduced in 1968, six years after the first silicon breast implants were placed in 1962. There have been multiple studies showing the safety of polyurethane breast implants since then. All foreign bodies when placed inside the human body elicit a response to wall off the device with scar tissue. This is called the capsule. A capsular contracture occurs when the scar tissue “contracts” or becomes smaller. The scar tissue then constricts and distorts the implant’s shape, the implant starts to feel hard and if the capsule is severe, it can become painful. This is the most common complication overall in breast implants and the most common reason for their need for replacement. 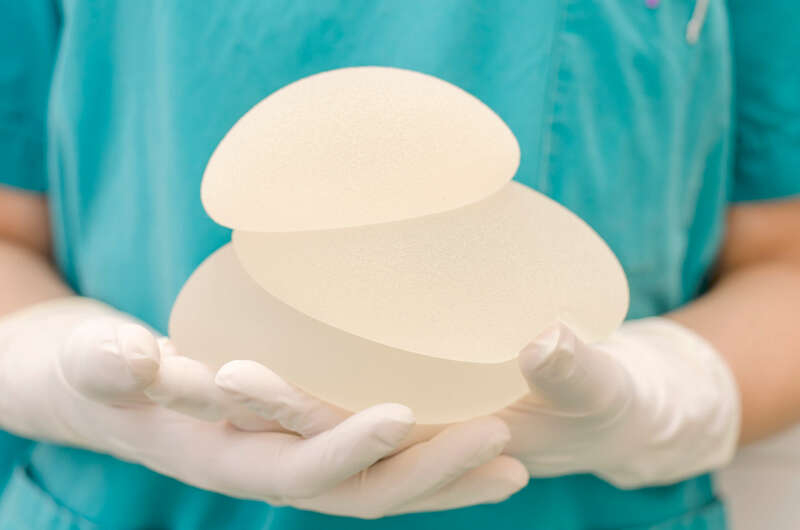 As polyurethane produces an irregular, interconnected coating that resembles a meshwork, instead of creating a single longitudinal collagen capsule, as in other types of breast implants, the collagen must be deposited along the irregular spongy shape of the coating. This leads to the formation of microcapsules, which distributes the tension around the implant as a whole rather than in one linear direction. There are studies examining the microscopic structure of capsules formed around polyurethane breast implants, which show this difference, which is the reason for their much lower incidence of capsular contracture. There are many myths about polyurethane breast implants. There is no doubt that they are more difficult to insert and position due to their stickiness or the Velcro effect upon their insertion. However, surgeons experienced in their placement are aware of the need for positioning the implant correctly and how to dissect the pocket correctly. There have been some inaccurate concerns about the foam causing cancer. This results from a flawed single rat study that was done in the 1980s. Polyurethane foam is made from polymerisation of 2,4 and 2,6 toluene diisocyanate = TDC. Early studies found low levels of 2.4 toluene diamine in urine however not blood samples of women with implants. 2.4 toluene diamine was shown to be carcinogenic in rats in excessively high concentrations, not even close to any trace amount present in urine of the studied women. In the human body, polyurethane foam is broken down to harmless polymers, not 2.4 toluene diamine. Polyurethane foam has never been shown to cause cancer in any species. Follow up studies have shown no significant concentrations of 2.4 toluene diamine produced in women with polyurethane implants. This estimate assumes that 2,4-toluene diamine is carcinogenic in humans, which has never been proven, even in industrial workers exposed to this compound. The only cancer attributed to breast implants, which is extremely rare, (only a few hundred cases worldwide) is Anaplastic Large Cell Lymphoma. There is only one known case with the German brand of polyurethane implants available in Australia. There are many more cases with other brands of implants. The risk and exact cause of this cancer is still being investigated and it is multifactorial with patient predisposition and bacterial contamination during surgery presumed to contribute to its aetiology. Dr Simone has removed polyurethane breast implants at all stages of surgery from weeks to years after insertion. They are no more or less difficult than any other implant with a capsule. The have much lower rates of capsular contracture in the short and long term. For a first time (primary) implant, their rate is 1% at 15 years compared to 16.8% at 8 years for textured implants. Almost no risk of rotation or movement therefore patients can go back to exercise earlier. The extremely low risk of capsule combined with the soft cohesive gel that is used leads to an extremely natural feel. They have a safety record equivalent to other implants. They have a number of round and anatomical (teardrop) sizes, shapes and projections available to suit the individual’s chest wall measurements. The risk of a capsular contracture recurring is higher with redo surgery, especially with textured or smooth implants. The risk of the implant moving is greater with redo surgery. They are the preferred implant for redo surgery where capsular contracture has been a problem. If a rotation, movement or synmastia has occurred with previous surgery the chances with polyurethane are much less as they remain where they are placed. They are the only implant to carry a 10 year replacement warranty for capsular contracture, rotation or movement in addition to a lifetime warranty against rupture. No other breast implant gives this guarantee. Most other implants only carry a lifetime warranty against rupture. In the initial phase they can feel firm, especially the first 3 months. They take over 6 months to fully soften, however, once they do they are the softest feeling implants currently available. Rarely patients can get an allergic rash in the first 2 weeks after insertion. This is always self-limiting and is managed with anti-histamines. So why not always use polyurethane? As capsular contracture and movement are the most common problems seen with breast augmentation, you might ask why not always use polyurethanes? Based on the current evidence available today, Dr Simone believes polyurethane breast implants to be safe and to be the implant of choice in most people for both redo and primary surgery. There is now safety data now from studies overseas from over 18 years. They have been used in Australia and TGA approved since 2010, longer than some of the implants currently popular and also in widespread use. All surgeons do not use them, mainly because they are a newer device, and many surgeons have become used to using textured or smooth implants, which still have, overall lower capsule rates than earlier models. There is a learning curve in using them, and they are more difficult to place. However, their use is continuing to increase due to their impressively low capsular contracture rates. However, some patients may want a firmer textured breast implant if there is a need for greater lifting capacity. As well, Dr Simone respects patient preferences for other brands of smooth, or textured implants which she also still commonly uses. All decisions for breast implant placement are made in conjunction with the patient and their wishes. Breast augmentation with fat grafting is an alternative option to implants, or can be used in conjunction with them to soften the edges in a very slender patient.